Inform, engage, and persuade through quality content and sophisticated writing styles. 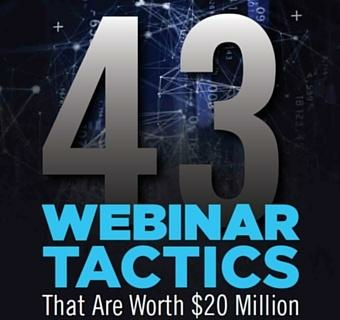 Funnel master, Internet marketer and founder of Autoresponder Madness, Andre Chaperon, shares his top 2 techniques on becoming a great affiliate. We’re sharing the ABCS behind high-converting and effective headline writing at Mindvalley, as inspired by our favorite marketers and copywriters. If film directors can’t work without a good screenplay, then a sales video too needs to written well. Vishen shares his tips on scripting and writing videos that impress. Why are some emails so effective at capturing attention? After subscribing to and studying 140 marketing emails, we’ve discovered the single most powerful concept behind email writing. Find out how Moneyfingers, Inc founder Chris Haddad uses emotions in copywriting to guarantee high conversion rates for his business. Get the most from split testing your email copy with these handy tips from the Copywriting Team. Companies should take advantage of e-mail automation and funnel sequences, otherwise, they are allowing a lot of revenue to go to waste. Inspirational stories are not only good for the heart and the mind, they can also help businesses achieve higher response rate. Marc Koska is the British inventor behind a revolutionary safe syringe. Here, he offers a diagnosis of the problems facing health professionals in Africa.